Good news for kosher observant Torontonians. 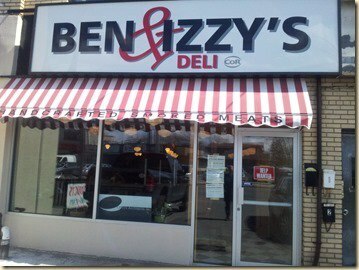 After a spate of kosher restaurant closings, a new Glatt Kosher deli has opened this week in the Bathurst & Lawrence area: Ben & Izzy’s Deli. As of today, they have chosen not to participate in COR’s Kosher Restaurant Month across most of Toronto’s Kosher restaurants, offering 10% off participating restaurants in May. The process of turning the Negev bookstore into a kosher deli began last November, but dragged on as first-time restaurateurs Ben Venasio and Izzy Bernath became embroiled in the standard metropolitan red tape [in Toronto]. At a first glance, the sun-drenched space looks like a colourized photo of a ’50s diner, complete with checkerboard floor. Warm wood tables, a wooden bar top and exposed brick modernize the space. On the southern wall, a shelving unit sits empty, but it will soon be adorned with jars of house-made soup (prepared by Venasio’s mom). The soups will be bottled using a pressure canner, which extends their shelf life, so customers can have a bowl of matzo ball soup ($6) at the diner and then stash a jar in the pantry for a rainy day. While almost everything meat-related is smoked and cured in-house, a few jobs have been outsourced. The bread is sourced from Issac’s bakery down the street, but Venasio and Bernath have it made to their specs (they wanted a delicate spongy rye). 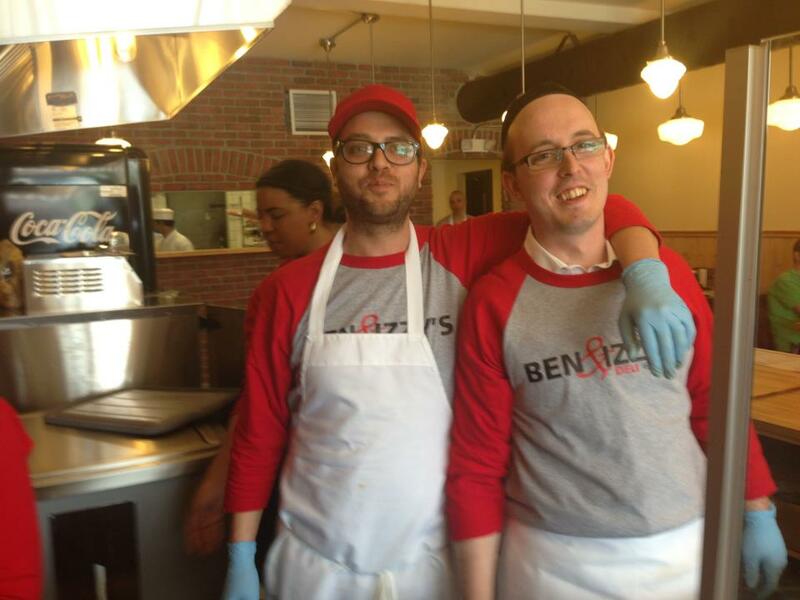 Bernath and Venasio decided to open the deli in response to what they saw as a dearth of certified kosher options available to them on their lunch breaks nearby. The deli plans to pickle its own cucumbers when the season rolls around, and brunch is also in the works. Are you excited to try Ben & Izzy’s? Comment below.